From time to time, I like having a guest blogger come to TechCommGeekMom to provide a different perspective than mine on tech comm, m-learning and e-learning. This week, newcomer Allie Cooper provides her view on m-learning in the classroom. Enjoy! Isn’t it great to see how learning evolved from the early 90’s to the present? I can still remember how we were required to bring different textbooks to each class and how we could only use the computer in the library and during computer class as there were very limited number available to the student population. Based on a study, more than 37 percent of schools plan to shift to pure digital textbooks within the near future (1-5 years). So what more can we expect in years to come? The face of education is now changing. It has embraced digital technology and is adapting to the era of gadgets. Apps have become a must-have to teachers and educators most especially. Thinking of how to engage students in day-to-day lessons is an on-going challenge. 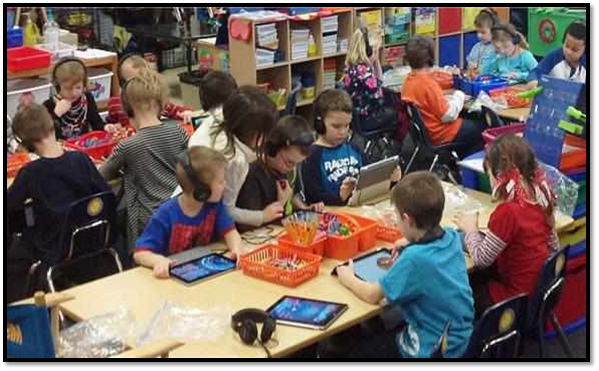 So why not hold a BYOD Day and integrate mobile device and apps usage in classroom activities? It will surely provide a more fun and exciting way of learning. Previously, this article about tips on how you can avoid boring virtual classrooms was featured, and this time, I want to share some tips and suggestions to have a great learning day in class. In this video interview done by CNN Money, Microsoft chairman Bill Gates, said that technology can make the education affordable for all, but the real challenge lies on how to make it work. Most well-funded schools in the US use tablets in carrying out lessons and activities in class. Apple’s iPad has proven to be the most used gadget in the classroom due to its big screen and great display. The smartphone has become a popular mobile device for students, too. In fact, roughly 90 percent of American college students will own a smartphone by 2016. That is not impossible, considering that by the end of this year, 70 percent of college mobile users will have the device. As an educator, you must also know the right devices you want to use in the classroom. Are you planning to use iOS or Android devices? What apps are you planning to integrate in your classes? These questions will certainly be essential on your path to building an educational and fun digital classroom experience. 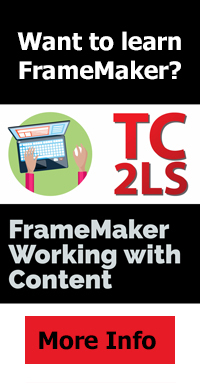 TechCommGeekMom.com: Of course, as an advocate of digital classroom, this site also has its own share of curated thoughts and ideas on how you can make it easy to integrate technology in your lesson plan. Once you have chosen the desired technology to use, you must now take advantage of the abundant number of applications available on the App Store and Google Play. First, you need to create an account and a new notebook folder. Make sure you leave the option to “Public” for your students to view. When you’re done, share the notebook folder link with your students, so they can browse on your list and read eBooks anytime on their mobile gadgets or PCs at home. Edmodo is another great app that makes teachers and educators work simpler. Edmodo’s interface is similar to Facebook’s interface. The app is designed to promote student-teacher engagement . It serves as a great connection for teachers on a worldwide scale. Gaining access to a wider range of techniques and sharing resources that have been found to be useful by fellow educators is a great way to level up teaching methodologies. Tracking your students’ progress is made easier since you don’t have to be stuck in the traditional class record books or class cards. Currently, it connects over 19 million teachers and students globally. Create polls to see how your class understands the lessons and award badges for individual students for performing well. There are other apps on the market that you can utilize to help you in making the technological transition easier. Just make sure to do your homework by reviewing each app and see if they work for mobile platforms used in class. One of the benefits of having a mobile device as a tool for education is its ability to connect easily and wirelessly to the internet. It makes various content and resources readily available for us. It has been proven that visual content is more effective in sharing ideas. In fact, there are reports that claim that a human mind can retain visual representation better than text. Therefore, integrating various types of visual media to your lessons enables students to understand the lessons better. If you are planning to use pictures, you can present statistics or lessons. Try to use infographics from Visual.ly, as it has a wider range of choices you can use in various subjects. Using video is another way of peaking student interest. You can find suitable resources from millions of streaming videos on YouTube or Vimeo. Apps for Math, Science and other relevant subjects also are available with games that integrate a fun and memorable lesson activity in class. Transitioning from a traditional to a digital classroom experience doesn’t happen overnight. It might take some time for other classes to fully shift. Though it may be a rough start, think of the benefits you’ll reap if you’ve succeeded in this learning platform. Good luck and continue finding more great ways to teach. Allie Cooper is a tech enthusiast. Music lover. Blogger. She keeps tabs on the latest social media, newest gadget releases, chic fashion trends and company news from the EdTech advocate Verizon. Follow her on Twitter. Video | This entry was posted in Uncategorized and tagged Allie Cooper, Android, App Store, BYOD, digital classroom library, digital literacy, digital textbooks, Distance Learning, DIY education, E-book, e-learning, Edmodo, education, Edutopia, elearning, Facebook, Google Play, higher ed, higher education, instructional design, instructional design and technology, iOS, iPad, iPad app, IPhone, Learning, m-learning, m-learning tools, Methods and Theories, mlearning, mobile, mobile learning, Online Teaching and Learning, Personal computer, smartphones, social media, Springpad app, tablets, tech comm, TechCommGeekMom, TechCommGeekMom.com, Technical communication, technical communications, Twitter, United States, video, virtual classroom, Visual.ly, YouTube. Bookmark the permalink.